These calendar worksheets are composed of unique reading calendars, printable calendars, blank calendars and coloring calendars of different themes and formats. 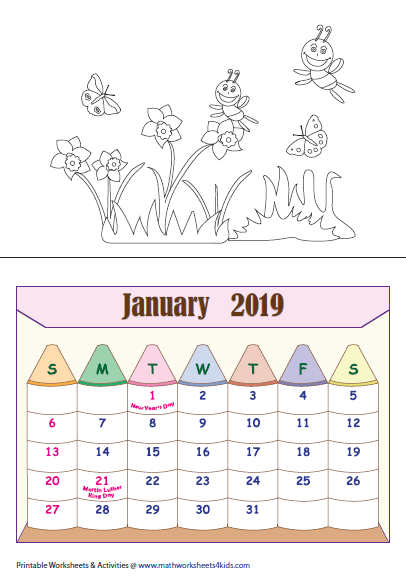 Activities like filling the blank calendars, drawing your own calendars, tracing and coloring calendars are also available. 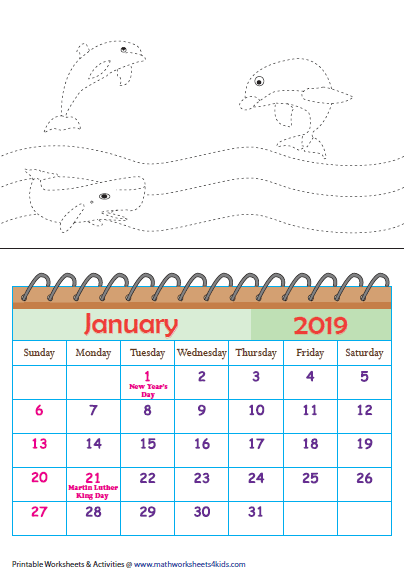 Reading calendar worksheets feature reading monthly and yearly calendars. Marking calendars are also included for classroom activity. 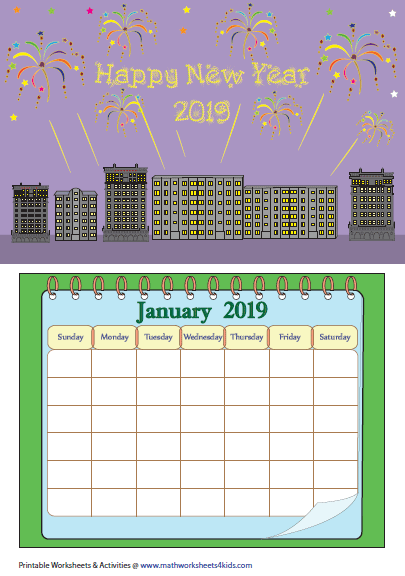 This new year's printable calendars are available in two formats - monthly calendars and single page yearly calendars in three different themes. Print them to enter the world of fantasy. 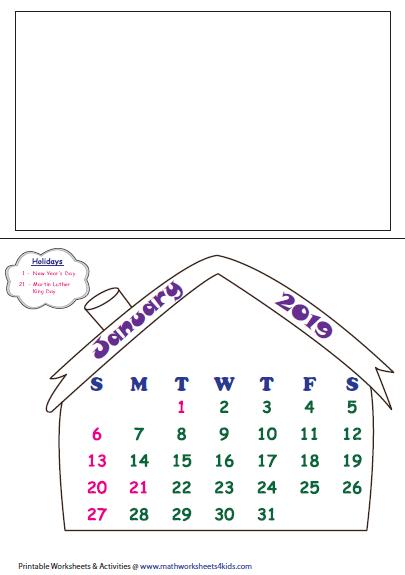 This page contains worksheets and printable colorful charts on days of the week, months of the year and seasons of the year. Thoughtful Themes are presented in these blank calendars. Fill in the blank calendars and mark your own events, notes and reminders. Become innovative and creative. Draw your own themes in the calendar and mark all the days and dates in different colors in your own style. Beautiful pictures for all the months are given for students as an exercise to color them. Color all the calendars and enjoy them. The kids would love tracing the pictures and coloring them. Help them to create their own colorful calendars. The children should draw pictures on their own and color the calendar. Give ideas of unique themes to the kids to do the activity.